Awards & Affiliations | Lange Bros.
For decades Lange Bros. Woodwork Co. has been recognized as a premier provider of architectural woodwork. We are committed to quality and our products meet or exceed the rigorous industry standards upon which we are measured. We have built our reputation by delivering unmatched value to our customers. 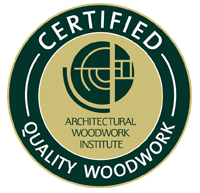 Lange Bros. is proud to have been recognized by the Architectural Woodwork Institute for Excellence in Fine Architectural Woodwork. 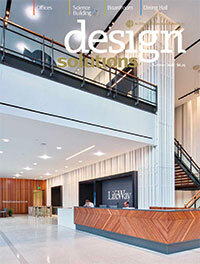 This distinction is awarded to companies to acknowledge superior craftsmanship, and characteristics such as design, styling, scope, and wood type are considered. Locally, in 2017 and 2018, Lange Bros. has been recognized by MMAC as a “Future 50” award winner, an annual program that recognizes rapidly growing companies in the seven-county Milwaukee region. We have also been recognized for our impressive safety record, receiving multiple awards from AWI for zero time lost to injuries. Lange Bros. is a decade-long member of the Architectural Woodwork Institute, the global leader in architectural woodwork standards. For over 60 years AWI has worked to create and improve quality standards and is known as the leading quality inspection agent in the industry. Lori Poull, co-owner of Lange Bros. is a board member of the Council of Small Business Executives (COSBE), serving on the group’s CEO’s of Growing Businesses roundtable for more than 15 years. Lange Bros. is a long time member of the Milwaukee Metropolitan Association for Commerce (MMAC). Lange Bros. is also a pre-certified company for AWI QCP projects. The Quality Certification Process is recognized in our industry as a risk management tool that our customers rely on to validate the skills and abilities of a woodworking team. 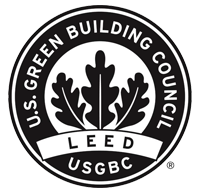 Lange Bros. has also participated in LEED projects, offering our customers the ability to get green building credits in the architectural millwork scope.